Most likely the nicest 3 bedroom direct water front corner unit in all of Ocean Villas. 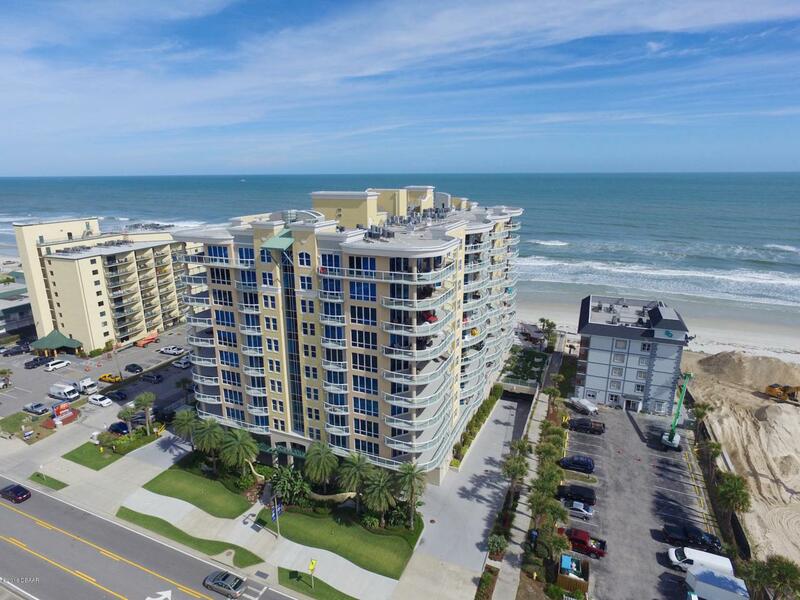 This condo offers captivating views of the both the ocean and river that will leave you speechless as you enter this one of a kind beauty. The North East corner is in my opinion the most desired and rightfully so for its unobstructed views of the coastline as far as the eye can see and the added shade to the balcony. Some of the features include gas grill on balcony, upgraded granite counters with bar extension, custom sink island, custom window treatments. This is a true turn key unit. Furnishings are optional but can be negotiated. These are just some of the improvements and features. A truly a must see home in the sky. The Ocean Villasis known for being the "premier" condo building in the area and rightfully so. A true 3D tour is available upon request. All information is intended to be accurate but is not guaranteed. Listing courtesy of Carl Vasile of Exit Real Estate Property Solutions.